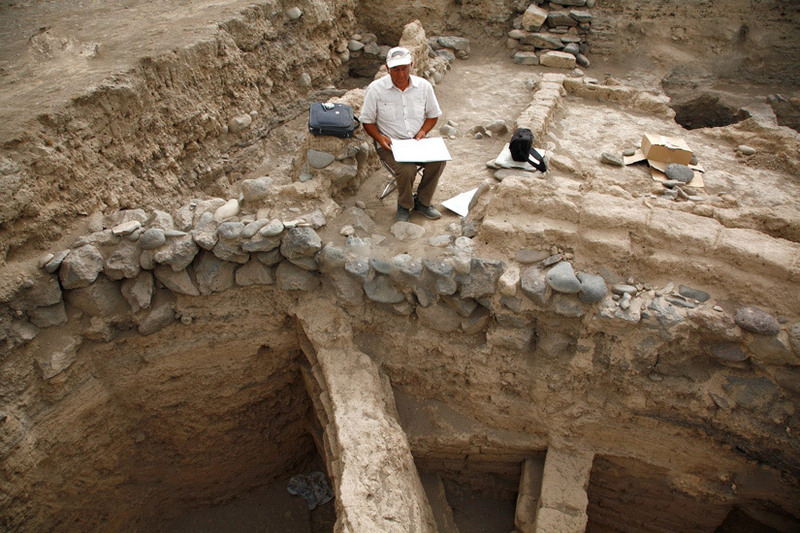 Home » Archaeology » Why Armenians are a “Living Fossil” to Geneticists?! A number of genetic studies have recently investigated Armenian DNA from different perspectives revealing some fascinating and consistent results. For example in 2014 Hellenthal et. al. in a paper published in Science have investigated worldwide human admixture history over the past 4000 years and created a Genetic Atlas of human admixture. Oddly enough they could not identify the Armenian admixture for the past 4000 years and placed Armenians into the “no admixture, uncertain” category (read more about it HERE). Moreover they found that modern Armenians show a great genetic affinity to ancient Europeans, meaning that Armenians of today because of their isolation have retained the genetic makeup of the ancient people of the Near East who have spread into Europe during various migration waves (read more about it HERE). As the genetic studies progress so does our understanding of Armenian ancestry increases. 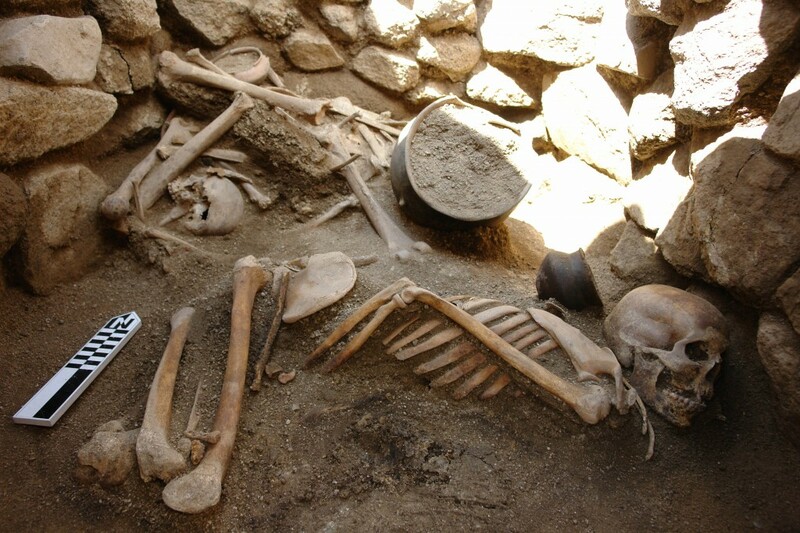 One might wonder, wouldn’t it be interesting if we dug out ancient bones from the Armenian Highlands and compared it to see how and if they are related to modern Armenians? Well, that is exactly what a team of archaeologists and geneticists set out to investigate along with a bunch of other questions related to ancient DNA. 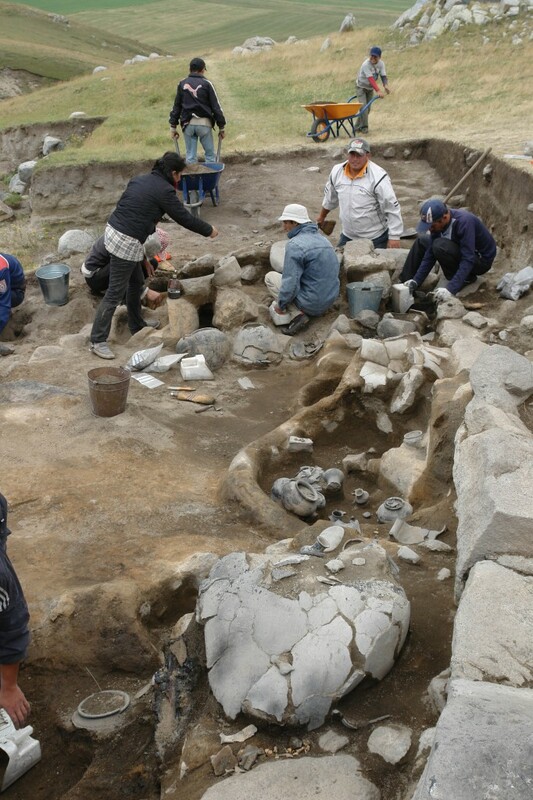 DNA samples from ancient burial site found all over the Republic of Armenia have been collected and send off to be tested by the University of Copenhagen. The data has now been collected and the results are soon to be published in the prestigious Nature journal, authored by 44 people from 13 different countries. The authors of the study however have already lifted the veil on some of the findings affirming that the DNA from these ancient bones indeed matches with those of the modern Armenians. 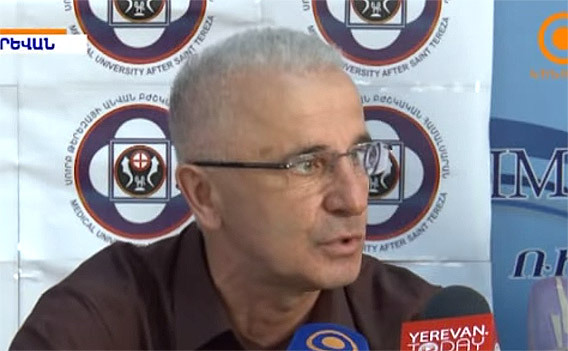 Referring to the international genetic study, the Head of the Laboratory of the Institute of Molecular Biodiversity of the National Academy of Sciences Levon Yepiskoposyan has recently stated in an interview to the press that: “Modern Armenians are direct descendants of the people who lived in the territory of Armenia 5000 years ago.” Eight samples from ancient burial site across Armenia, dated to the middle and the late Bronze Age as well as the Iron Age, have been collected and tested. He added that from these results we can safely conclude that modern Armenians indeed have very old roots in the Armenian Highlands. In this study, we were able to solve not only some of the the genetic, historical and archaeological questions, but also to some extent disprove the allegations that the Armenians are only living 200 years in the territory of Eastern Armenia. Armenians became genetically isolated during the Late Bronze Age (about 3500 years before the present) and have not intermixed with populations from distant regions since then. Because Armenians are Late Bronze Age (LBA) genetic isolates, we, as a population are like a living fossil. When comparing the ancient DNA of individuals dug up in modern Armenia with those of Armenians, there isn’t much of a difference in the DNA. It essentially means that we represent a genetic continuum of at least 3500 years. What this means beyond just Armenians, as the article that will be out in the prestigious journal of Nature soon, is that we can compare modern European populations with modern Armenians, knowing that it’s the same as comparing the modern European population with ancient Near Easterners (as Armenians represent an essentially pure sample of the Late Bronze Age). We are closer to the basal populations that existed in the Near East, subsequently migrated toward Europe during the Bronze Age-Iron Age, than any other population in present Europe. So if you compare ancient DNA found in Europe between the Neolithic to the Iron Age, you see huge shifts in populations as Near Easterners and others from the East settled and influenced the substructure of the European genome. These groups were present as populations in the Near East, having contributed to the early Highland group that then became genetically isolated and became the Armenians as we know it today. Think of us as frozen in time for at least 3500 years. Comparing us to modern European groups is like comparing the modern groups to 3500 year old Highland tribes. So imagine that you have various tribes in the Near East that coalesced to form Armenians. Let’s designate them with alphabetical letters. So assume that people from tribes A,B,C,D,E,F,G,H, and J became genetically isolated during the Bronze Age and coalesced to form Armenians. A few groups of people from some of these tribes, say A-D, migrated to Tuscany and mixed with indigenous tribes M,N,O,P,Q forming modern Tuscans. We can now compare modern Tuscans with modern Armenians as though we were comparing modern Tuscans with ancient Armenians (the Near Eastern tribes from over 3500 years ago) and uncover the links between the two. By doing so, we can recover the fact that Armenians and Tuscans share A-D in their genome. We can then recover ancient DNA from Tuscany and determine when the A-D tribal migration took place. As we do this all over Europe, we find certain patterns. These patterns show that there were substantial population shifts in the genome of Europeans, particularly after the Neolithic, based on Near Eastern waves of migration. The groups that migrated from the Near East during the Mesolithic/Chalcolithic, were later replaced by Early Bronze Age groups, then Mid-Late Bronze Age, then Iron Age, etc. By looking at ancient DNA, and also comparing the admixture of modern populations with each other, we can make sense of how Europe was populated. Contact Aram Hamparian at the ANCA in the US and alert him of this mistake. Armenians are NOT newcomers to the Armenian Highlands. different beliefs, they must have an agenda. I might take this article a little more seriously if you had bothered to proofread it before publishing it. What’s your point, anyway? That Armenians are genetically purer than others? Last time I checked, it was 2015, not 1937. Are we really that insecure about ourselves and our history that we need constantly to differentiate ourselves from those cultures that developed around us? Genetic purity? Really? Can u elaborate on how you came to the conclusion that modern Armenians are worse than older Armenians?? At least this is how you post reads. John – I read it to say that the findings disprove any claims the Azerbaijanis and the Turks make regarding how long the Armenians have lived in the region. They are proving that the land is and has always belonged to the Armenians. From there when they do DNA testing in other parts of Europe they can tell if any Armenians migrated to other countries and when. I believe everything about history is important and finding “living fossils” will help the study of our past and our present more accurate. The article on the Armenian DNA is most interesting. The next step is to explore its relation to Armenian health issues, such as the district Armenian digestive issue. I can think of one Physical trait which is described in old Encyclopedias and dictionaries: “the Armenoid Depression. : Yes, a flat cranial plate at the back of the skull. As a child, I was fascinated by that flat spot on balding Armenian men in church. Not all have it. And I’m not sure that the women have it or not. I know that Korduk is Gordion. Heard of the Gordian knot? He that could unravel it would conquer the world. Alexander the Great just took the sword to it and cut it in two. He then wont on and conquered the known world. BELL (sometimes pronounced PELL)is known in the West as BELLUS the Tyrant. I kept reading & rereading..
You’re just arguing with no reason, with no factual studies not even blogs or links. Instead of asking the admin to search, why don’t you find even a single one yourself??!!!!!! Or maube because yoy didn’t find anything to suppirt your claims?? Bye bye dear Dr. Whatever your name or origin. HELLO MY FATHER IS ARMENIAN AS FAR AS I KNOW.MY DNA SHOWED THAT I HAVE INHERITED ABOUT 40 PERCENT ASIA MINOR ONLY ASIA MINOR DOES THAT MEAN THAT HE IS ONLY ARMENIAN OR IS HE MIXED WITH OTHER ETHNICITIES LIKE TYRKISH OR MONGOLIAN.